We would be glad to post your employment opportunities! 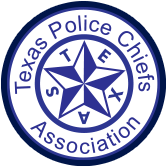 Please send all requests in PDF FORM to info@texaspolicechiefs.org. We can also post a link to your application center on your PD website for specific jobs. Thank you! Please click the above linked job description name to view the PDF file. The Texas Municipal League posts employment opportunities, please visit http://www.tml.org/ for more information. Also, visit member sites for employment opportunities posted on their individual agency websites.